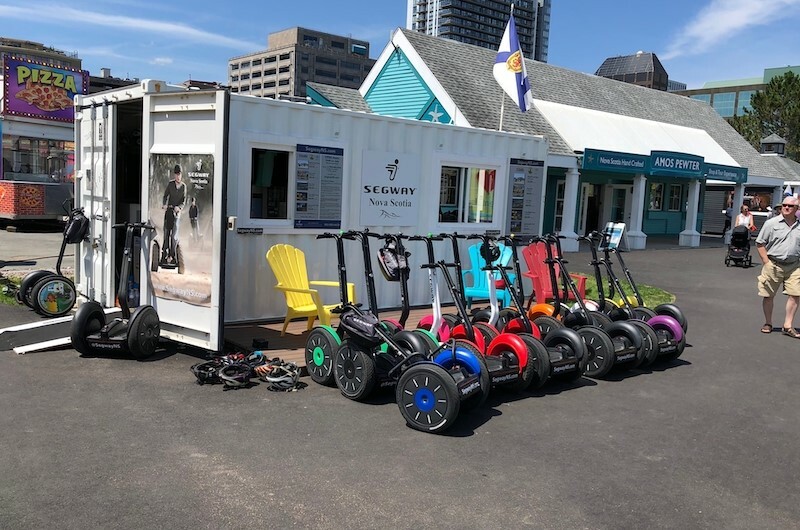 See Halifax by Segway! Explore and learn about the beautiful and remarkable sights of our city without taking a single step. 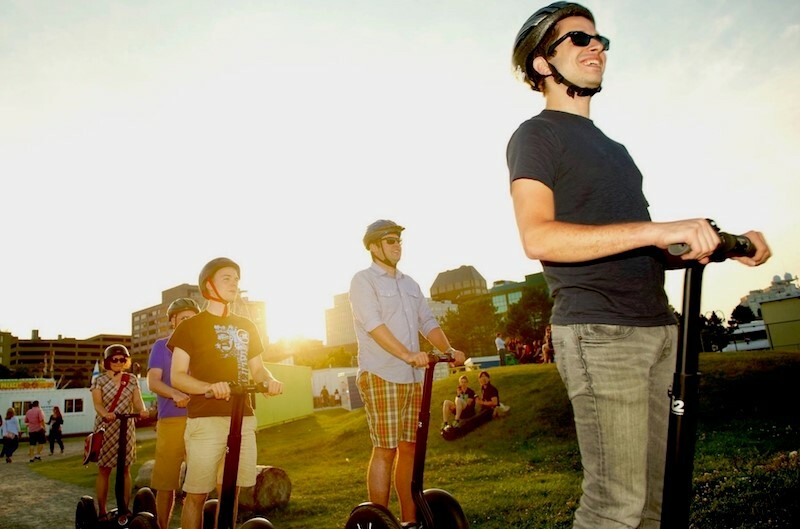 Segway Nova Scotia is the first and largest Segway® Experience Centre in Nova Scotia. All of our guided tours include training and orientation. Whether it’s one of our standard tours or a customized tour, we have an experience for you. For the Waterfront Tour, our friendly guides will take you on a glide along the Halifax Waterfront as they share with you the sites and rich history, such as George’s Island, the Halifax Seaport, and the CSS Acadia. 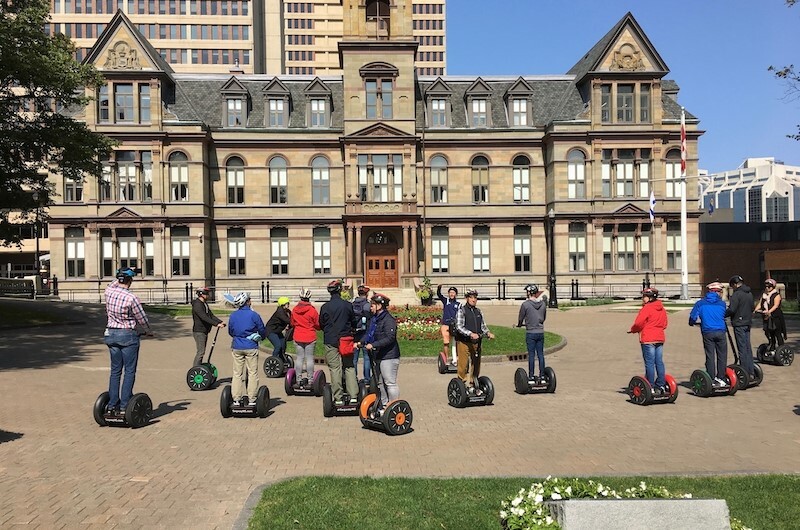 The City Tours continue into the heart of Halifax where you will see more of what Nova Scotia’s capital city has to offer, without having to hike the hills, including Citadel Hill, the Public Gardens, Grand Parade Square and much more! For those who are a bit more adventurous, maybe the Dartmouth Trail Ride is for you: we take you across the Macdonald Bridge to the Dartmouth Harbourwalk Trail, with spectacular views of Halifax Harbour and the Halifax city skyline. Tours range from 1 hour to 5 hours. Customized and themed tours are available. Group, corporate, and special events packages are also available.